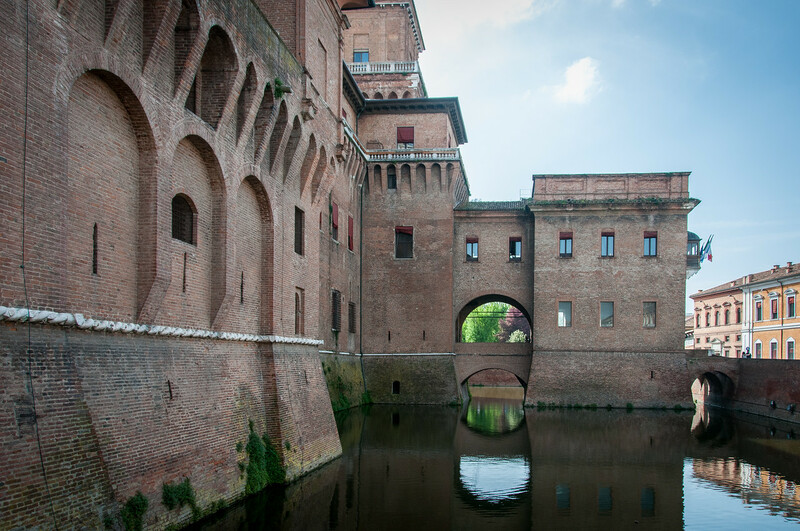 Ferrara is an outstanding planned Renaissance city which has retained its urban fabric virtually intact. 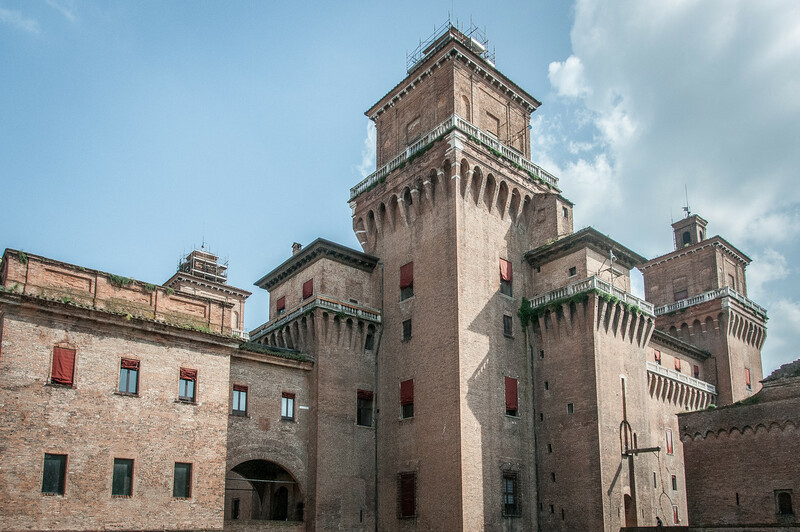 The developments in town planning expressed in Ferrara were to have a profound influence on the development of urban design throughout the succeeding centuries. The brilliant Este court attracted a constellation of artists, poets, and philosophers during the two seminal centuries of the Renaissance. The Po Delta is an outstanding planned cultural landscape which retains its original form to a remarkable extent. Among the great Italian cities, Ferrara is the only to have an original plan that is not derived from a Roman layout. It did not develop from a central area but rather on a linear axis, along the banks of the Po River, with longitudinal streets and many cross streets around which the medieval city was organized. The most significant characteristic of Ferrara’s urban history rests on the fact that it developed from the 14th century onwards and, for the first time in Europe, on the basis of planning regulations that are in use nowadays in all modern towns. This type of development is known as addizione ; the third phase was implemented in 1492, making Ferrara the only planned Renaissance town to have been completed. The street network and the enclosing walls are closely linked with the palaces, the churches, and the gardens. Throughout the 16th century, the city was planned with the aim of making it a future ‘capital’. Its evolution came to an end after the 17th century under papal administration, and the city did not undergo any extensions for almost three centuries. The city plan (1492) provided for doubling its area, an expansion limited to the south of the castle. This extension was completed by a new and very up-to-date defensive system made up of elements belonging to the various extensions carried out over several centuries (ramparts, keeps, semicircular towers, bastions, barbicans, etc.). These alterations completely changed the appearance of the city: new streets were created on a grid and buildings in a new style were built. The most important monument surviving from the medieval period is the San Giorgio Cathedral dating back to the 12th century. The facade is a work of the master builder and sculptor Niccolo who, influenced by Benedetto Antelami, worked in the first half of the 12th century; the construction of the bell tower began in 1451 to a design attributed to Leon Battista Alberti. Standing in front of the cathedral, the 13th-century Palazzo Comunale was the first residence of the Este family and was joined in the late 15th century to the Castello di San Michele or Castello Estense. This massive, four-towered fortress was built in 1385 by the court architect Bartolomeo da Novara after a violent popular revolt. Works were carried out until 1570 with the creation of a noble residence with large halls to receive the court and embellished by frescoes and marble balconies and logge. I’m surprised that Ferrara and the Po Delta are combined into one world heritage site. They could each probably stand alone and Ferrara isn’t the only world heritage site in the Po Delta. Mantova is also in the Po Delta and the case could be just as easily be made for combining those two. Ferrara is an interesting city. The primary attractions are the Castello Estense (shown in photo) and the Basilica Cattedrale di San Giorgio Martire. There are many other plazas and squares to be found in the city as well. Ferrara is an easy day trip from Bologna. 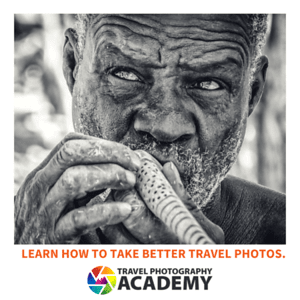 It takes about an hour to get there by train, which run frequently throughout the day. Ferrara, City of the Renaissance, and its Po Delta is a cultural UNESCO World Heritage Site in Italy. It was inscribed in 1995 since it is considered as the best example of Italian Renaissance town planning. The layout of the town and its Renaissance features also influenced the entire landscape in the region. 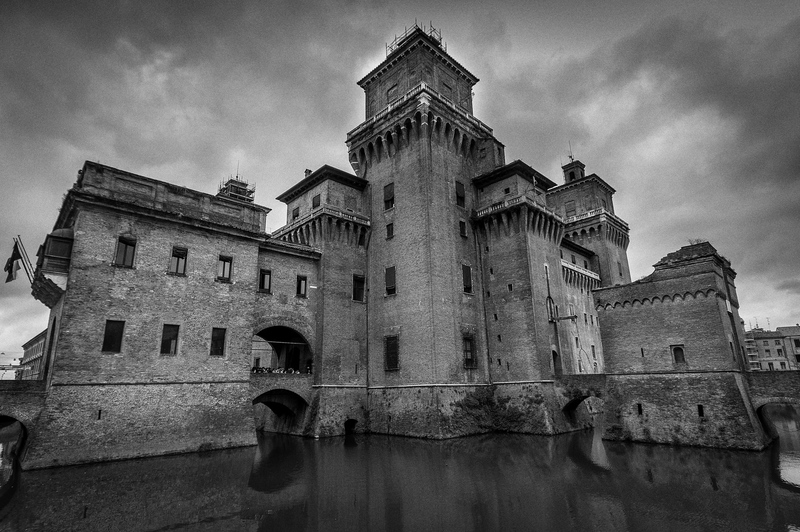 Ferrara lies in the middle of Po Valley and has retained the atmosphere of the past until today. The ruins from the Renaissance era blend harmoniously with the modern developments around it. The combined human activity with the Renaissance urban planning are significant factors that helped it earn the nod from UNESCO. The city of Ferrara is located about 50 kilometers northeast of Bologna. It is located close to the Po di Volano, which is a branch of the Po River’s mainstream. The Ferrara, City of the Renaissance, and its Po Delta is a UNESCO site consisting of several important monuments including the Este ducal residences in Diamantina, Villa della Mensa, towns of Comacchio and Cento, and the Voghiera and Schifanoia. Ferrara, City of the Renaissance, and its Po Delta flourished during the Renaissance period. For this reason, the city is now recognized by UNESCO for its image of splendor and how it showcased its wealth at that time. The original layout of the town was re-designed under the ruling of Ercole d’Este I.
Biagio Rossetti created the new layout design in 1492. The new layout was commissioned for in the hopes of adding new streets that would link the Renaissance city to the medieval heart of the region. They did so by adding fortifications and other similar features to the city’s original layout. Ercole d’Este I was considered as one of the top patrons of arts in the late 15th century up to the early part of the 16th century. This was also the time wherein the Ferrara, City of the Renaissance, and its Po Delta was growing as a cultural center. It is popular for its visual arts and music. Since it was inscribed in 1995, the site was extended to include the Pomposa Abbey and Po Delta (in 1999). This revision to the area encompassed by the UNESCO site also prompted a name change. 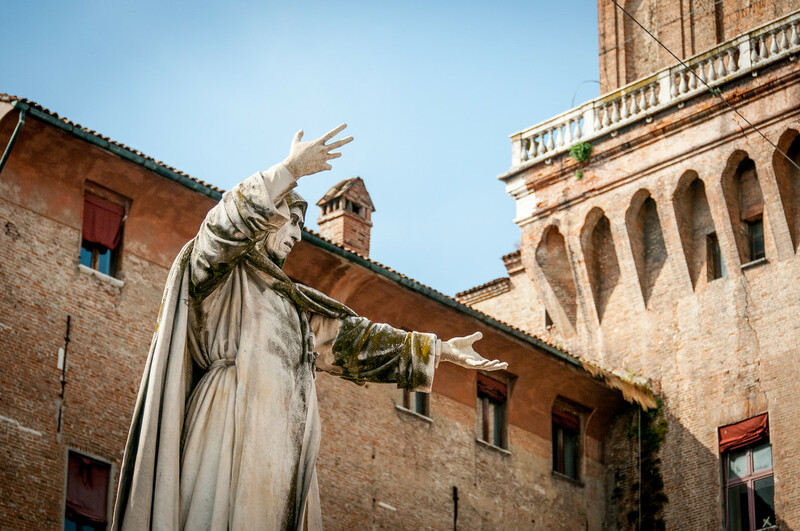 It was originally known as the City of Ferrara but the new UNESCO inscription lists it as Ferrara, City of the Renaissance, and its Po Delta.